It’s become community management 101 for the major publishers: tell the players that you’re listening; that you’re a pure conduit of feedback prepared to reshape games in accordance with comments on the internet. EA in particular have committed themselves to the idea. 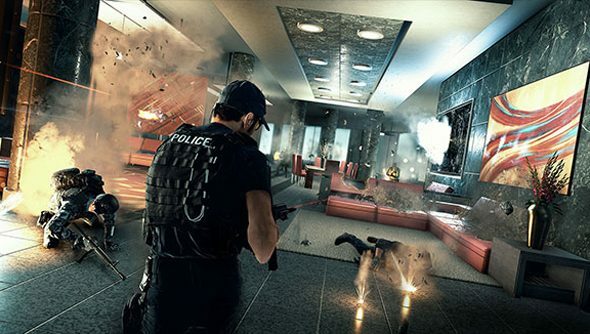 They’ve said more than once that beta feedback for Battlefield Hardline was responsible for pushing the game back into next year. And CEO Andrew Wilson says the company is “getting better at listening”. Now, he says, EA know to ask players what they think before the marketing campaign has run its course. “We haven’t always been great listeners, but we’re getting better,” he said. And what EA have heard, beyond the judgement that they’re the Worst Company in America, is that players want choice. So far that knowledge has manifested itself in EA Access – a monthly subscription service for EA games on the new Xbox. How choice will inform the publisher’s new engines and games on PC remains to be seen. Have a think about what you’d like EA to hear – and then express that thought, minus all the swears, in the comment section below.